ELEMIS Absolute Eye Serum Review (2018): Is It Worth Buying? ELEMIS Absolute Eye Serum Review: Does This Eye Cream Really Work? What Is ELEMIS Absolute Eye Serum? ELEMIS Absolute Eye Serum, US $50 for a 0.5 fl. oz. vial, is a skin care eye cream that instantaneously boosts your skin’s moisture content, visibly plumping and smoothening out fine lines and creases to help restore your skin’s youthful appearance. This product is brought to you by Elemis, the skin care brand that is strongly founded on the fusion of science, nature, and aromatics. The label traces its humble beginnings to providing spa services. ELEMIS Absolute Eye Serum — Does It Really Work? 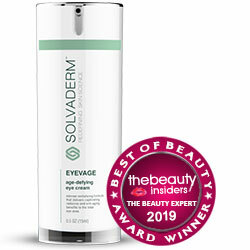 Relieve eye puffiness and lighten discolorations. 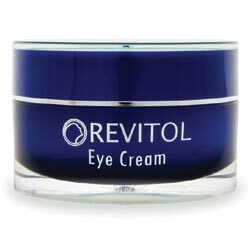 Restore the ideal moisture content of skin around your eyes. Protect and strengthen your eye skin. With regular use your eyes should appear healthier, more youthful, and full of life. What Are The Ingredients In Elemis Absolute Eye Serum? Indian Rosewood Oil: It enhances your skin’s natural healing and regenerative functions, significantly improving the tightness, quality, and resilience of your skin, thereby delivering as well protective and corrective functions that promote the appearance of more youthful skin. Chamomile Essential Oil: Delivers a soothing and calming effect that helps relieve inflammation and accompanying redness, itchiness and blotchiness to promote a brighter, clearer, more even skin tone. Serine: Improves your skin’s synthesis which, in turn, improves your skin’s ability to hold in moisture as well as strengthen its resilience against factors that cause damage and aging. Glycerin:This ingredient helps skin retain moisture while reducing inflammation but also can cause skin irritation to sensitive skin. ELEMIS Absolute Eye Serum must only be used on freshly and thoroughly cleansed and tone skin around your eyes. ELEMIS Absolute Eye Serum has a very lightweight consistency that easily absorbs into skin to instantly fill in creases that cause aging lines to appear. This product does not contain phenoxyethanol, a neurotoxin commonly added to personal and skin care products to preserve product quality but which has been repeatedly demonstrated to have potential adverse effects to the nervous system. This product still contains parabens when most other skin care labels have been consciously skipping and removing these from the formulations of all of their product offerings. ELEMIS Absolute Eye Serum reviews indicate that some users have developed reactions and irritations using this product. This product may cause skin allergies. Does ELEMIS Absolute Eye Serum Have Any Side Effects? Increased risk for developing various forms of cancers due to sodium benzoate which can form benzene as it combines with Vitamin C, and diazolidinyl urea which gives off formaldehyde as a by-product. Increased risk for irreversible skin damage due to chlorphenesin. ELEMIS Absolute Eye Serum can deliver intense hydration for your delicate eye skin. The bigger question is whether or not it is mild and gentle enough so as not to hurt your delicate eye skin.